Our favorite fictional characters from books and movies often display an impressive and wide range of psychological attributes, both positive and negative. We admire their resilience, courage, humanity, or justice, and we are intrigued by other characters who show signs of personality disorders and mental illness—psychopathy, narcissism, antisocial personality, paranoia, bipolar disorder, and schizophrenia, among many other conditions. This book examines the psychological attributes and motivations of 100 fascinating characters that include examples of both accurate and misleading depictions of psychological traits and conditions, enabling readers to distinguish realistic from inaccurate depictions of human behavior. 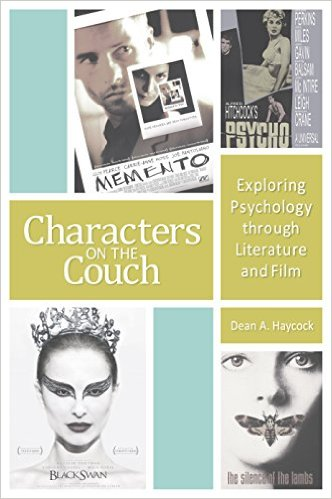 An introductory section provides a background of the interplay between psychology and fiction and is followed by psychological profiles of 100 fictional characters from classic and popular literature, film, and television. Each profile summarizes the plot, describes the character's dominant psychological traits or mental conditions, and analyzes the accuracy of such depictions. Additional material includes author profiles, a glossary of psychological and literary terms, a list of sources, and recommended readings. Provides an engaging and entertaining way to learn about both positive psychology and mental health issues through the behavior of interesting and often familiar characters, leading to a better understanding of human behavior. Helps readers distinguish realistic depictions of psychological disorders from inaccurate ones, providing a basis for avoiding negative mental health stereotypes and stigma associated with mental illness. Covers a wide range of behaviors and psychological disorders arranged in a convenient format, making it easy to find and learn about particular topics that can be read in or out of order. "This title, which has potential for real-world application, pushes readers to consider an individual's life in context: a crucial characteristic of an empathetic and effective psychologist. This text may expand viewpoints of the effects of mental illness. Recommended for psychology students and practitioners." "Inspired by what appears to be a growing trend for training mental health care professionals, the author (Dean A. Haycock, a freelance science and medical writer) conceived of this work as a resource guide to help students assess psychological conditions and psychiatric disorders using fictional characters drawn from literature and film. The entries contain 101 profiles of mostly well-known fictional characters found in novels, novellas, short stories, plays, poems, graphic novels, comic books, and films. The characters’ psychological profiles are highlighted by using key quotes to demonstrate their particular disorder. For example, the diagnosis of Dorian Gray in Oscar Wilde’s novel The Picture of Dorian Gray from his uttering, “How sad it is! I shall grow old and horrible, and dreadful. But this picture will remain always young. . . . If only it were the other way!” (134) indicates that his most defining trait is (surprise!) narcissism. Charlie Brown, from the comic strip Peanuts, with his declaration, “My anxieties have anxieties” (146) is evidently a neurotic with avoidant personality disorder, and so forth. It may be helpful for the non-specialist to know that the arrangement of the selections in the “Mental and Personality Disorders” subdivision is presented in the order found in the fifth edition of the Diagnostic and Statistical Manual of Mental Disorders and that the six “Positive Psychological Traits” are those identified by Christopher Peterson and Martin Seligman in their pioneering work in the field of positive psychology."